MommaSaid | Men Can Do Anything Women Can Do. Browse: Home / 2011 / March / 29 / Men Can Do Anything Women Can Do. The (mostly) women in the audience snickered, and then applauded. I wanted to shout, “Because so few of them do it!” but people weren’t there to hear me speak. They’d come to hear one of the founders of modern feminism talk about how much has changed over the decades — and how much hasn’t. Though we’ve come a long way, baby, it appears we still have a long way to go, at least at home. 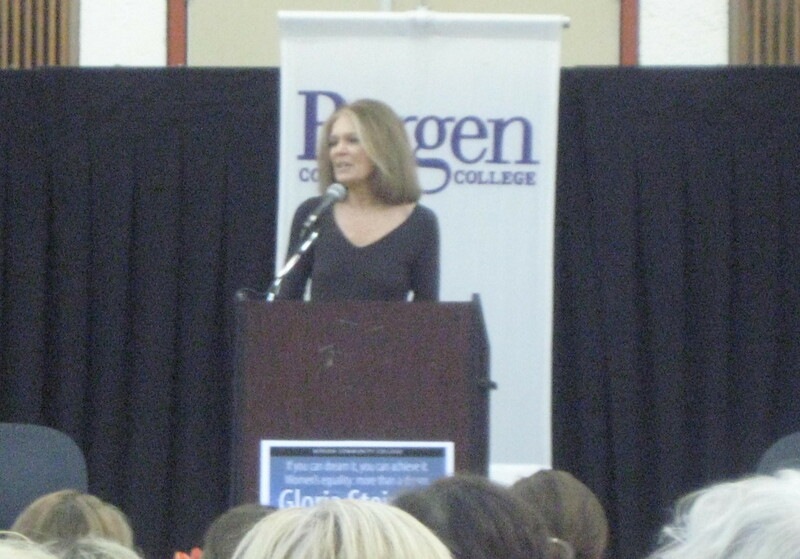 And, according to Ms. Steinem, we won’t get there until men step up and do their fair share, because though half the workforce is now female, the majority of childcare and housework still falls squarely on our shoulders. “So when your wife did it every school day, twice a day, for the last month, was she a hero?” I asked. Later, his wife said she heard him telling the story on the phone. Apparently, I made him think about something he’d never thought about before: Men can do anything women can do. Okay, so they can’t give birth and they can’t breastfeed, but judging by the (however paltry) increase in at-home dads, the number of men at the school bus stop, at Back-to-School night and on class trips, not to mention the increase in men at the supermarket since I became a mother 14 years ago, men can do a lot of things women used to handle all by their lonesome, whether the womenfolk have paying jobs or not. Are they all heroes? Or are they just keeping house like the rest of us? Now more than ever, Gloria Steinem might be right — a woman needs a man like a fish needs a bicycle. With a third of women now outearning their spouses, and husbands creating an additional seven hours a week of housework for their wives, it’s a wonder young women marry at all. Sure, there is an increasing number of enlightened men who don’t believe that nurturing (or scrubbing) chips away at their masculinity, who know that childcare and housework are important parts of anyone’s life, no matter what’s in their underwear. Some of them have even complained about the mom-centric tone of a web site called MommaSaid, and tend not to understand that our Housewife Awards are only half tongue-in-cheek. (But we are heroes!) But, even in 2011, even decades after women’s lib, there just aren’t enough of men who have stepped up. 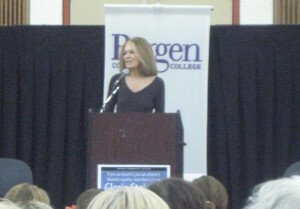 Gloria Steinem said last night that there won’t be full equality until men do their fair share at home. I agree. Apparently, so does one of my neighbors, who told his son to one day get a flexible job that allows him the freedom to be at the school bus stop and much more when he becomes a father some day. In other words, he’s teaching his son that men can do anything women can do. I made a decision a looong time ago, that I could either raise my kids or clean my house. Not that my house is worthy of a hoarding episode, but there is definitely a layer of clutter that could stand to be removed. After almost 15 years of marriage, we have come to an agreement of some sort. I HATE housework, but will do it becasue it has to be done. My children(3 of them) are old enough that they help with chores. I deal with the day to day madness of cooking, homework, sports, activities, dr. appts., etc… He does laundry-I’m actually not allowed to touch the washer, which he picked out himself, he does uber cleaning when the clutter level get crazy(i’m more tolerant than he), and he does all of the grocery shopping, which for us means 2-3 different stores. He handles morning duty with one of our children because I go into work after dropping off the first two. Admittedly, some of it was me letting go as well, and not thinking he was going to “f” it up. I had to relax my controll freak a bit. I travel for work sometimes as well, usually for a week at a time, which is good for him becasue he has to take over all of the responsibilities. EVERY time I return, when he picks me up from the airport, He gets out of the car, scoops me up in his arms(I’m not small! ), and thanks GOD I’m back, realizing that it’s ain’t so easy to do what we moms do on a regular basis. So while, he not quite all the way there, I am lucky enough to have one that does participate in some of household madness. His training continues. You are so my hero. I am forwarding this link to everyone I know! Wow, these kinds of posts just make me feel soooo good!